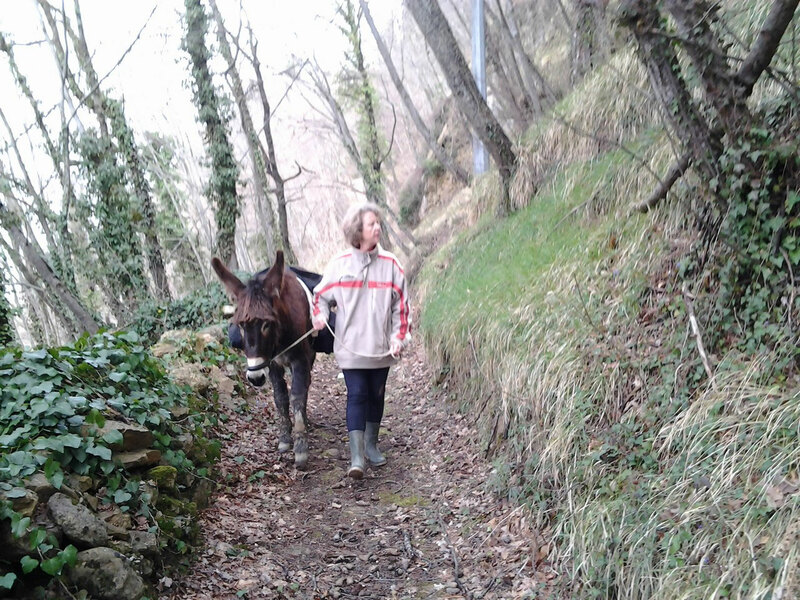 A couple of weeks ago, I had a lovely morning with Marco and his donkeys, Iside and Agata. We met at the old spring, where the women from Smerillo collected water and did their washing for hundreds of years. It was love at first sight when I met Iside and Agata! I just had to give them a hug, they are so gorgeous! 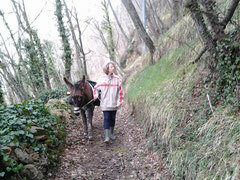 Anyway, Marco and I headed off through the woods between Smerillo and Montefalcone with me leading Agata. She was very good - only occasionally stopping for a munch of the new shoots along the way. After a great meander along a number of trails, we came out of the woods just near the road into Smerillo and decided to walk on into the village. It was great fun, if a little surreal, leading a donkey through the cobbled streets and listening to their hooves clattering!